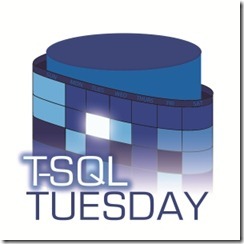 T-SQL Tuesday is a monthly blog series made up of community contributions. 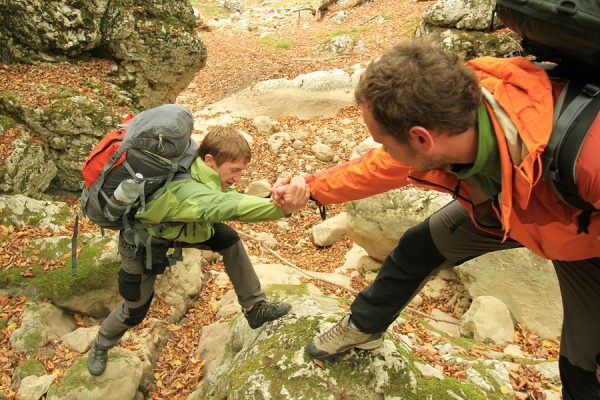 This month’s topic is “Folks Who Have Made a Difference”, by Ewald Cress. This month’s T-SQL Tuesday is an invitation to thank those who have lifted us up or inspired us throughout our careers. This feels like an impossible task to me because of all the supportive people I have met over the years. But here’s my attempt, just the same. The very first presentation I ever gave was at SQL Saturday #66 in Colorado Springs. I gave a talk on Reporting Services tips and tricks, and I was nervous as hell. To make matters worse, the projector in my little garage room broke. and I chose to move us out to a main room where the lights were on and the projected screen was so low-contrast, you could barely make out the image. I survived that session, speaking for about 45 minutes to an audience of six. Chris was one of them. Afterwards, Chris pulled me aside and said, “Great job!” He complimented a few other things, then said, “There’s one thing I wanted to mention — I think the name is ‘tablix’, not ‘matrix’.” I had totally botched the name of one of SSRS’ fundamental objects. My slides had that mistake too. I’m so thankful to Chris for this moment because it was a make or break moment for me as a speaker. Had he (or someone else) been harsh in giving me my first-ever feedback, I may have been too upset to continue on. First-time speakers need abundant encouragement and support, and he was there giving me both. How does a BI Developer get hired to do DBA consulting and make training videos? I still don’t totally understand how, myself. But there I was, doing exactly that. At the point in my career where I was not especially confident in my SQL Server skills (especially on the DBA side), I applied for a highly-coveted job as a consultant with Brent Ozar Unlimited. It took an enormous leap of faith on their part to hire me. I knew just enough to not be bad at it, and they coached me along with incredible patience and empathy. All four of them had an unswerving belief in me. The end result was a 2½ year run that defined my career as a consultant, speaker, and trainer. Thank you, Brent, Kendra, Jeremiah, and Jes. Ariel is not a member of the SQL Server community; he was my manager at the job I left to join Brent Ozar Unlimited. Like the BOU crew, he invested his faith in me to grow into the challenges ahead. When I started working for him in 2009, I was a middling programmer-analyst with passable SQL Server skills. A few years later, under his guidance, he was having me attend meetings where everyone else’s title had the words “Director” or “Chief” in them. I was getting exposure to high-level discussions and learning how to communicate technical concepts and ideas at that level. He wanted company leadership to know I was trustworthy and skilled. He wasn’t trying to grow me into a consultant’s role, but when I told him I was leaving, he agreed it was time. He said I was ready for new challenges elsewhere, and that he was truly happy for me. I can easily recall a hundred more people who’ve supported and inspired me along the way — friends, mentors, audiences — and I thank you, too, for all you’ve done for me. It’s a gift to be a part of this community. I hope I can keep giving in kind all I’ve been given over the years.